Like it or loathe it. 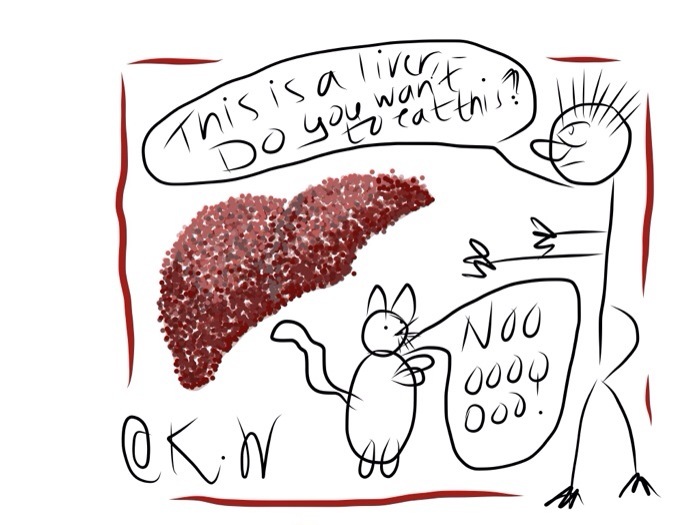 My blog friend M.R dared me to do a post abouth liver and why I liked it or loathe it. A weird dare in the blogging world. There seam to be a lot of dares nowadays, just remembering this stupid beer and videochallenge all over the world, starting in Australia if I remember it correctly. This 3 drawings are suppose to state my point about liver and I don’t think I could state it anymore clearly. They where painted when I was flying to London and during the stay on Heathrow airport London. ABSOLUTELY DELIGHTFUL, Katrina !!! Truly!! and especially under the circumstances of flying from Sweden to Peru … that was an extra challenge that no other reader had to take on. 😀 Thanks from the heart for managing to fit it in to your schedule: it is very much appreciated. Hug from someone who is now on the same half (bottom) of the planet! Thanks! Its fun to be drawing. Really tells the message in another way. Now I´m also trapped in heat and humidity. The biggest problem was the Wifi problem, it doesn´t really work in the airports, and Arlanda has a free Wifi, (creds to Sweden), Heatrow has a free for 45 minutes than you have to pay and least but not last, in Miami you have to pay or cannot access. Blaha to the American wifi. I love the south, I may say without ever seeing anything else than Lima. haha. If you don´t count the Canary Islands. (haha). But the traffic is crazy and it´s easy to see the class differences. But very interesting anyway! Love the art, Katarina! Have a wonderful trip and safe travels. So many varied responses to liver. 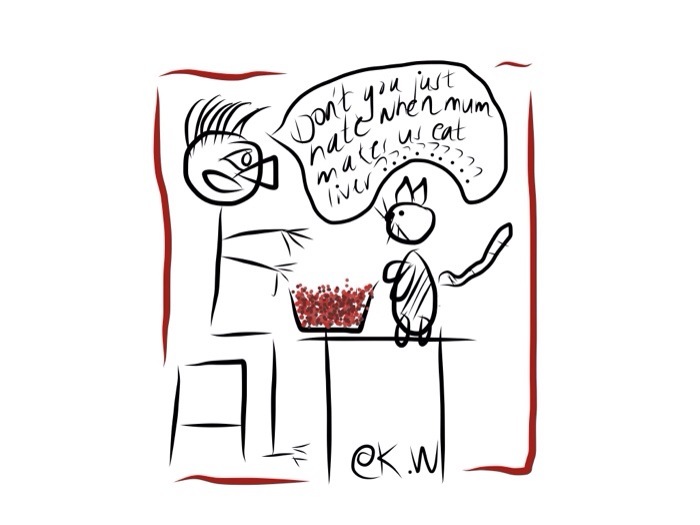 I waxed poetic, as my drawing skills are quite poor! Next PostAnd here is Peru.